The editor of Connect has published a notice about the status of its publication. In summary, it will be available by email or to collect from local venues. 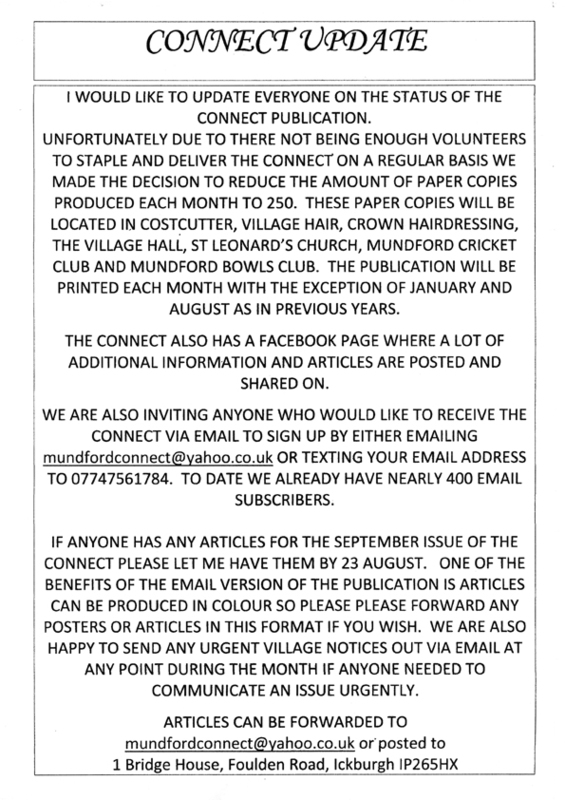 If you would like an email copy, then send your email address to mundfordconnect@yahoo.com or 07747 561784. To read the whole notice, click the image below. 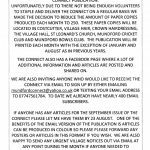 Note that the Connect newsletter an independent publication, not under the control of the Parish Council. This entry was posted in News on 12th August 2018 by webmaster.